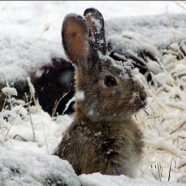 Winter can be tough for mammals and birds that do not hibernate or migrate to warmer climes. We’ll learn some of the strategies that animals use to cope with winter’s cold, wind, rain and lack of food.We’ll also meet some of our education animals that are winter survival experts. Then it’s off for an explore outside before warming up with some cocoa. This program provided with support from Northampton County Parks.